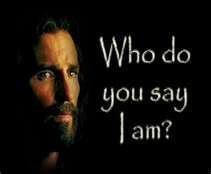 Who do "you" say that I am? To asked such a question in today's times could imply that you are offended and ready to strike with a vengeance. During this past week we heard the Gospel reading taken from Mt 16:13-20 where Jesus asks the question "But who do you say that I am?". 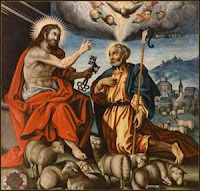 Simon Peter replies "You are the Christ, the Son of the living God"; Jesus in turn replied "flesh and blood has not revealed this to you, but my Heavenly Father." Such a great moment in Church history as we are told that Simon Peter is now to be Peter and that upon this rock Jesus will build his Church. Could the revelation be anymore clearer than those words said by Jesus. I have always stated emphatically that I am no theologian, but I am sure this is not a parable by no measures, but a clear and concise message; the message that Peter will be the head of the Church to be established on earth when Jesus will no longer be with us. If that statement is true, and the Catholic has proof that it has the lineage roots from Peter to Pope Benedict XVI then what's all the fuss about? Wouldn't we be calling Jesus (our Savior) a liar by believing that there is no possible way that God would leave a mere man in charge of His Church. Could this be part of the problem with the number of faiths, Churches, denominations, congregations, or groups that we see popping up every day; that every Christian has a right to start up their own Church? I do not believe this is what God had in mind. So why Peter? I smile when I think about the stories of Peter in the New Testament. During many homilies where Peter is mentioned in a Gospel reading we are reminded how Peter seemed to always "put his foot in his mouth." So there you have it, your confirmation that Peter could not be anyone Jesus would want to leave in charge. Well not so fast; if we say that the Church belongs completely to Jesus, then shouldn't he be allowed to do as he sees fit with it. Let's consider the story of Mary; the angel of God came to Mary and said to her that she would bear the son of God, she embraced her calling from God, for in Him and through Him this was possible. Mary was the new tabernacle for God. Wow, think of that for a moment! God made it possible to come to us in human form through a mere human girl. So why is it so difficult to believe that he would leave Peter in charge of His Church? Who's to say that Peter wasn't surprised by his profession of faith when he announced that "Jesus is the Christ, the Son of the living God." During a conversation with a taxi driver seeking advice and information about God, I remember leaving the taxi feeling a sense of euphoria that I was able to say the things that I did. When God is ready for you he will use you to build up his kingdom. "God does not call the qualified, he qualifies the called." Peter made many mistakes, but was big enough to admit to his mistakes. Jesus shared a special relationship with Peter, different from that with the other disciples. When referring to the disciples Jesus would always use Peter's name first. Jesus also changed Simon Peter's name to Peter signifying that his status would change. The only other time that names were ever changed were done in the Old Testament when Abram was changed to Abraham, Jacob to Israel and so on. In the New Testament, Simon Peter's name is the only name that was changed as seen in Jn 1:42 "Jesus looked at him and said,"You are Simon the son of John; you will be called Cephas" (which is translated Peter). The writing appears to be very clear on the wall. Jesus continues his statement to Peter that he would give him the keys to the Kingdom of Heaven. Growing up I couldn't wait to be entrusted with keys. I now have keys to my house, as well as keys to my parents house because they have faith in me that I will use them as necessary, and as parents this is what they do. My brother would give me his keys to his home if he goes away because he trusts me to look after his place while he is gone. During ancient times, giving someone keys to a place was not taken lightly as it signified authority. There are so many arguments today to try to justify how Peter was in no way appointed the head of the Church. This past Sunday (21 Aug), a pastor of a local Protestant Church who follows the Catholic readings to the "T" spoke to his congregation on this matter. I was intrigued as to how the Pastor would preach on the Gospel reading, so I made a point to listen to the service. My first thought was that the Gospel reading may be changed to another, as it laid the foundation for the birth of the Catholic Church, however the Pastor stated on point with the exact readings of done by the Catholic Church (Mt 16:13-20). Would he skip around it I asked myself? To make a long story short in regard to the pastor's sermon, he expressed his opinion that in no way would Jesus have put a "man" in charge of His Church here on earth. He believes that the Church belongs to Jesus and Jesus alone. No one is disputing this claim, as we Catholics also believe that Jesus is the cornerstone of the Church, and that he ensured that his message was left in good hands (those being Peter's), who is the foundation of the Church, therefore Peter was given the keys to the Kingdom of God. Had he not done this then where would the world be today; probably lost with no one to ensure that the Bible (put together by the Catholic Church) was prepared. You'd be surprised to know how many people believe that the Bible was sent down from Heaven in print form. Why on earth would Jesus make the statement "those sins you forgive will be forgiven and those sins you retained will be retained" in the same sentence when he gave Peter the keys to the Kingdom? It was also repeated in Mt 18:18, but this time he says it to the disciples along with Peter. Some including the Pastor preaching on this topic ventured to say that Jesus was directing this to you and me. So now you're telling me that I am able to forgive and retain sins! I don't think so, this was directed to the 12 disciples of Christ who Jesus appointed. Jesus might as well have not appointed disciples and just go around addressing everyone. Can you imagine how messed up "truth" would be today. 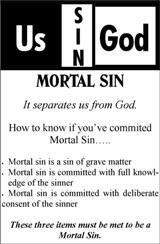 But do we even know what that statement meant when Jesus told them about being able to retain sins. I'm pretty sure many, even Catholics do not understand what authority was being given to the disciples by Jesus. Depending on the Bible version you read, you've probably heard the words Petros, Petra, Kepha, Cephas, Rock, and rock. 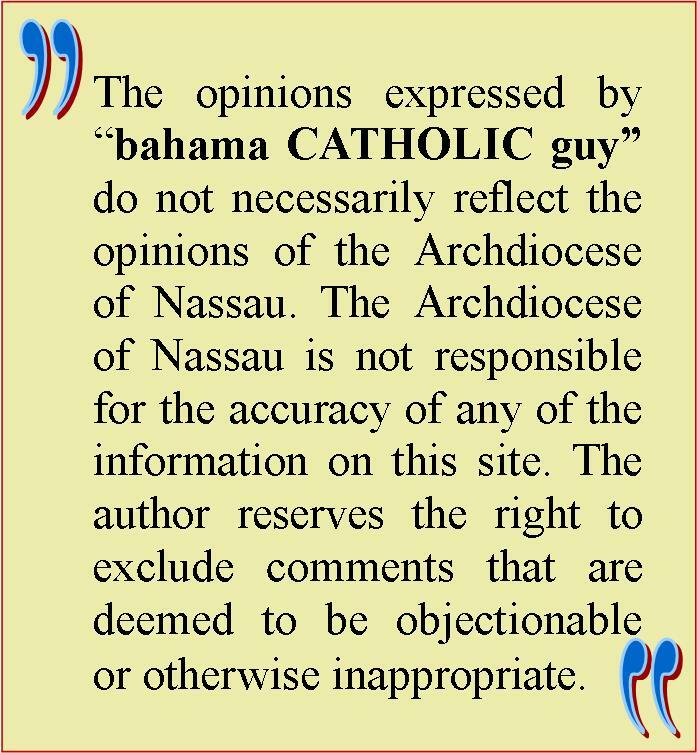 These words would be used in arguments to refute the claim made by the Catholic Church that Peter was appointed head of the Church. Allow me to share a little that I've learnt about the truth and see if it matches with your theory. There are three languages in play here; Aramaic, Greek and English. Let me start by saying this, if I am referred to as a rock in English it would be "Rock" with a capital "R". So it will go something like this, "Kevan your name is now Rock". Fine! So let's refer to me as the rock; "You are Rock and upon this rock I will build my Church". There was no reason to change the former "Rock" to another gender as there is no gender associated with the word in English. Jesus spoke Aramaic, the common language of first century Palestine. In the Aramaic language the word for rock is "Kepha" with no change in endings, so Jesus would have said: "You are Kepha and upon this kepha I will build my church. That's fairly simple right? Let me try to explain. Even though English is claimed to be a difficult language to learn, the beautiful thing about it is that we don't use feminine and masculine to our words as do the Greeks. Example being the words Petros and Petra. Switching gears a bit, we see how the Greek word for rock becomes Petra that is a feminine in gender, so by no means was it possible for the author to use it for the first word of rock as Peter is a man, so it had to be changed to masculine, thereby making it Petros. To go a little deeper, it would be challenged that the words Petros and Petra meant "small stone" and "large rock" in first century Greek, however the New Testament was written in Koine Greek and both words simply meant "rock". The Bible is loaded with facts that Jesus appointed someone to head His Church on earth and that person was "Peter". 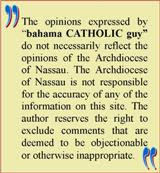 Having to accept this as truth can only lead to many other truths that many Church groups are just not ready to accept. A little homework and Bible study with the right group can surely open ones eyes to the truth.